Though his destination is yet to be determined, it appears as though Tony Romo knows how his time with the Dallas Cowboys will end, the Dallas Morning News reports. ESPN’s Ed Werder has reported that Romo expects a release from the organization — not a trade — and that the 37-year-old quarterback believes he still has 2-3 seasons left in him as a starter. 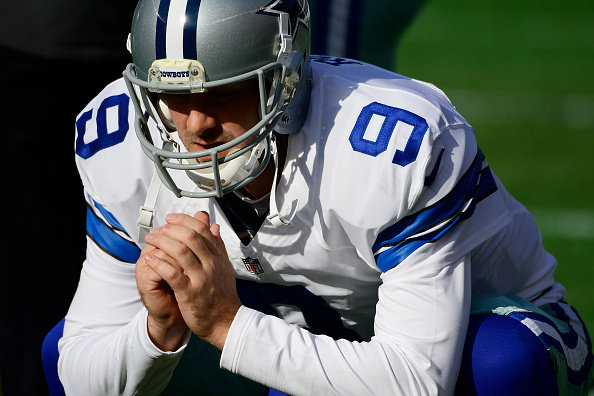 That Romo could be released, however, shouldn’t come as a surprise. Trading him may be difficult to maneuver. Romo would have to agree on the team trying to acquire him and probably be asked to rework his contract (Romo would account for a $24.7 million salary cap hit on the books next season if Dallas kept him). I’d have to consider keeping him thru spring training in the event of injury to one of ours or another team in which case his value would be much greater. However I don’t know how that would effect the cap, like I said, consider it.